Garlic (Allium sativum d'automne): growing, planting, caring. Purple garlic and white garlic are planted in the fall and harvested the following summer. It'll spice up your aiolis, curries and roasts! Mmm, gar-lick your lips! Autumn-planted garlic likes clay/limestone soil, provided that it's well-drained (especially in winter) and in direct sunlight. Unlike many vegetable garden species, it doesn't like recently conditioned soil. Plant from October to November and harvest when the stems turn yellow the following summer. Purple garlic should only be grown in gentle climates. The same goes for green garlic. Harvested early in the season, it's a treat! Allium sativum — garlic, for the layperson — is a species of perennial, monocotyledonous garden vegetable. It's powerfully aromatic and flavorful bulbs are often used in cooking. 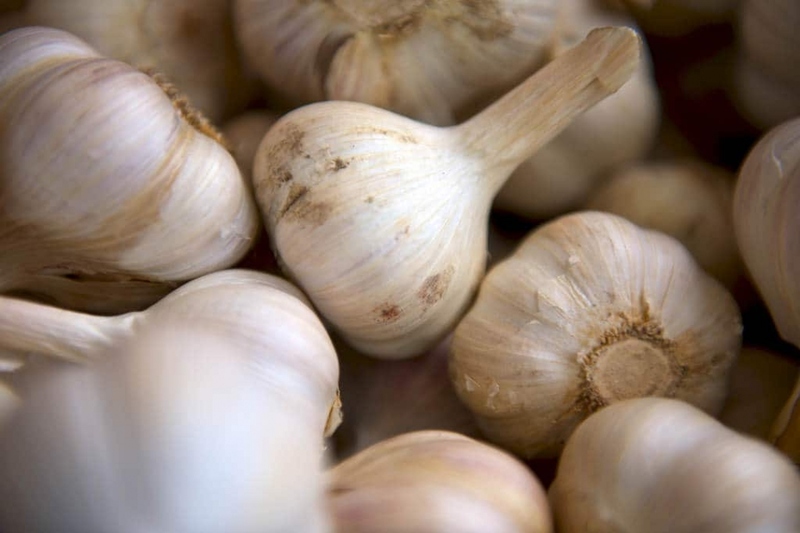 This information is particular to white and violet garlic, which is planted in autumn and harvested the following summer — or very early in the season, making it what we call "green garlic"! 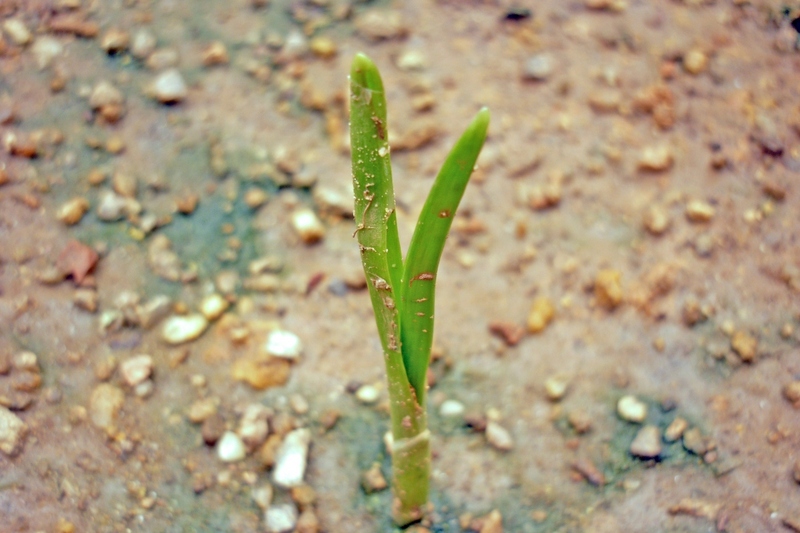 Cut the flower stem as soon as it appears, it will save the energy of your garlic for a better harvest. Once the leaves have turned completely yellow and the bulbs are well-formed, it's time to harvest your garlic! Harvesting is carried out by pulling up the stem at the base. 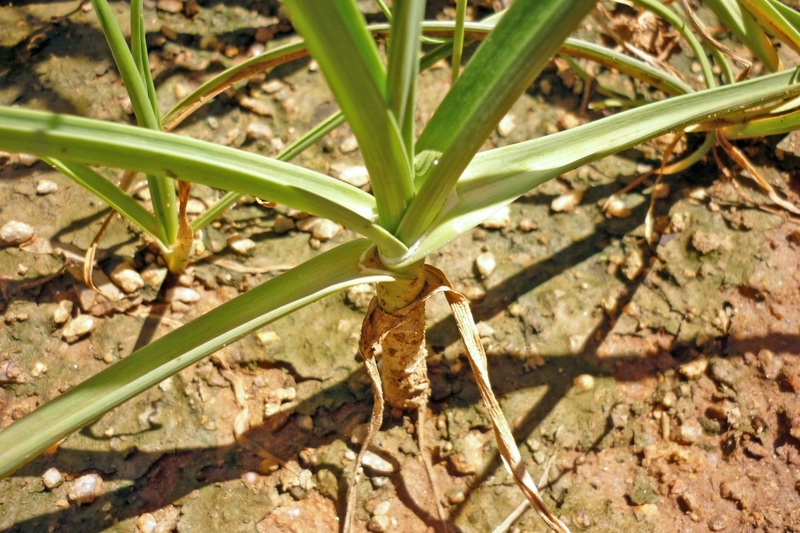 Harvesting is carried out by pulling up the stem from the base of the plant. Leave the heads in the sun for a number of days to let them dry. You may braid the stems together to store your garlic in an aesthetically pleasing manner.